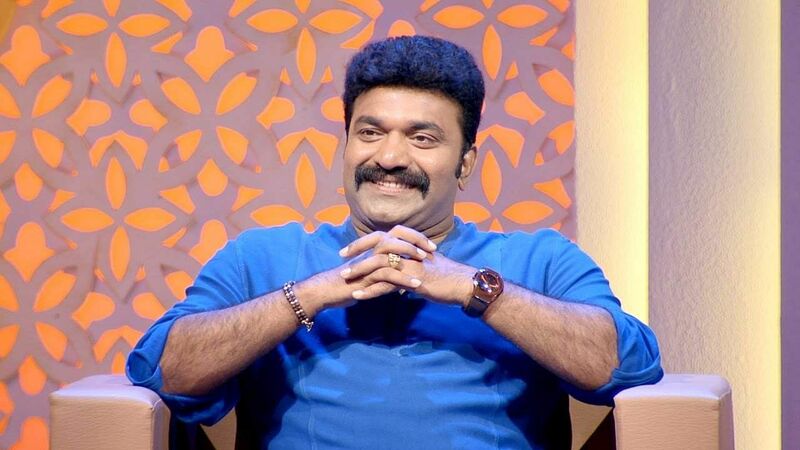 After Harisree Ashokan, another comedian is stepping into direction: Kottayam Nazeer. The actor organised a private screening of his directorial debut, a short film titled Kuttichan at Lal Media Arts in Kochi earlier today. In attendance were actors Jafar Idukki (who plays the lead role of Paili), Suresh Krishna, Lal, and Kalabhavan Shajon, among others. The first round of screening was opened for the media. Nazeer tells us the 15-min short film is a prelude to the full-length feature film he is going to direct sometime this year. The short film has Paili visiting an old friend on his death bed. What's unique about the film is that it's told from the point-of-view of the friend, the titular Kuttichan, who is never shown in the film. The entire film has an emotional Paili reminiscing about the old days, when Kuttichan used to be something of a legend. The men wanted to be like him and the women wanted a man like him. Paili's conversations with Kuttichan has the effect of a grandfather narrating a story to his grandchildren. As Paili goes on rekindling Kuttichan's glorious past, we are able to get a fairly clear visual of Kuttichan's colourful adventures. Jaffar Idukki is quite effective in a role that requires him to convey a plethora of emotions and several stories in a few minutes. There are two women in Kuttichan's household--his daughter and granddaughter--who don't seem to be that interested in all this. It's apparent that they have heard these stories a hundred times before. And they don't seem too bothered by the fact that Kuttichan is going to breathe his last soon. They sit waiting for everything to get over as early as possible. Mala Parvathy plays a nun who is revealed to be a former flame of Kuttichan. At one point, she desired to be Kuttichan's spouse, and she laments about fate turning her into a "bride of Christ" instead. Mohanlal provides the voiceover in the film's final portions. Nazeer has also penned the script of the film, which is shot by cinematographer Kanakaraj. Gopi Sundar is the music director. Maneesh Kuruvilla and Kannan VG have produced the film under the banner of B & G Productions.